How to stop a dog from barking if it barks excessively and with no good reason? 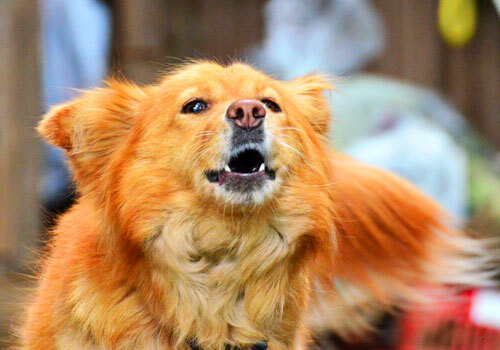 While humans communicate with each other through words, barking is dogs’ standard form of communication. Dogs do it for a myriad of purposes such as giving their owners a warning or sending an alarm to other animals or as a response to a command. Others also bark out of fear or to drive strangers or other animals away. Likewise, it helps us to understand better if our dog needs something. Sometimes it could be a combination of the reasons above but, some dogs tends to bark without purpose and experts say that habits and specific behaviors can affect such barking instinct. There are instances that dogs excessively bark and may result in a barking problem. Barking may also vary among dog breeds, and there are particular situations, that may trigger barking but, there will be times when we will need them to stay quiet and avoid barking, especially if they are doing it for no good reason. Unknowingly, most dog owners reinforced their dogs’ barking behavior, and they don’t have the slightest idea about how to stop dog barking. To prevent barking problems or to address it, let’s take a closer look on why do dogs bark in the first place. Again, there could be plenty of reasons why dogs bark. They usually do it to ward off other animals or intruders, to protect the house, to be rewarded or even use it to get their owner’s attention. Below are some of the other common reasons of barking to take into consideration. Incessant barking could also be a sign of loneliness or boredom. Sometimes they just bark just for the sake of barking or hearing their own voice. 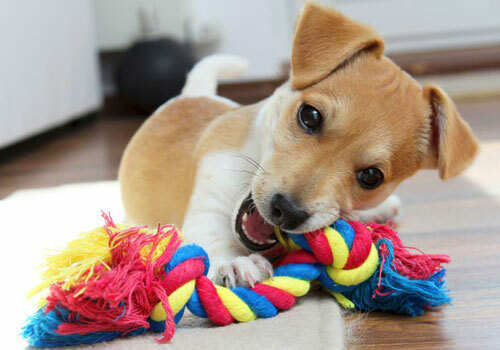 We know for a fact that most dogs are playful and active, and they need daily exercises to release their energy. When a dog is not engaged in any activity or doesn’t have a companion for a longer period, it tends to bark out of loneliness. Likewise, they would bark if they don’t have access to playmates or when confined in a restricted area or frustrating situation. That’s why it’s important that you should take your dog for walks regularly. While barking could be a sign of fear or loneliness, it could also be your dog’s way of saying “Hi!” to people and other dogs around. Dogs usually wag their tails and bark when they see people and other animals nearby which is especially common in younger dogs. They would bark excitedly as well when they are about to play or go for a walk. Some dogs would bark when they hear other dogs in the neighborhood. It just could be annoying if they bark too much. Reduce his excitement level by teaching him to sit and stay when there are no other people so he will get used to it. Also called alarm barking, is the dog’s way to alert you if he senses a threat. It is natural for them to engage in alarm barking when there are strangers nearby. Usually, dogs with stiffer body language do alarm barking, and you can notice that they move forward an inch or two when they bark. Our dogs bark to communicate with us, so we do not really want them to stop barking altogether, but we need to control their barking. Your dog might bark out of fear of lights and sounds, but proper training and using of this instinct will help you protect your family, home, and property. Humans have plenty of ways to seek attention from each other, and so are dogs. Barking can be a sign that your dog wants your attention, or it is his way of letting you know he wants food, dog treats or would like to play with you. Dogs are very expressive that some of them may even whine like a child just so their owners can notice them. 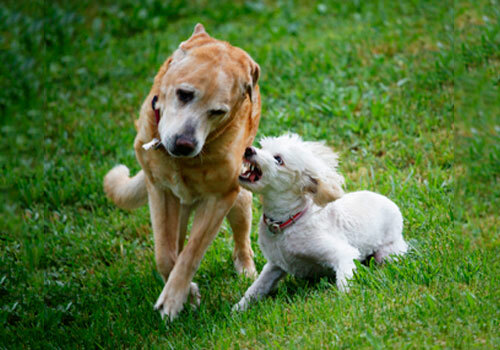 Most dog breeds are territorial by nature. Hence, they tend to bark excessively in response to other pets, dogs or people who trespassed their territories. Your dog’s territory normally includes the surrounding of their home and other places where he had explored such as your bedroom, car or other places he associates with you. It could also be the places where he spends most of his time as in the backyard or the living room. Unfortunately, one cannot expect a quick fix or to suddenly stop the barking, so our goal is to reduce the amount of it first. Anxiety is another common reason why dogs bark is because of separation anxiety. Expect them to bark overly if you left them alone. 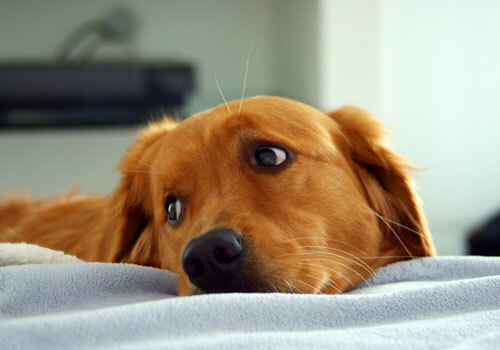 Other signs of distress in dogs include destruction, pacing, depression, and elimination. Barking could be their way of soothing themselves. They tend to bark like a broken record which is called compulsive barking. They tend to bark in situations that do not require them to, such as seeing mirrors, open doors, etc. A responsible dog owner should learn how to read the signals and way of communication of their furry friends to address barking problems. Is Dog Barking Bad? Should I Be Worried? Again, we don’t want our dogs to just stop barking. It is like not allowing them to communicate with anyone. However, there should be quiet times for them. Moreover, it is really annoying if they just bark because they just want to! Barking itself is not the problem but, the act of doing it unnecessarily should properly be handled. Remember, it is natural for dogs to bark and it is their most important means of communication. Moreover, barking is an effective tool to alert us and gain our attentions. 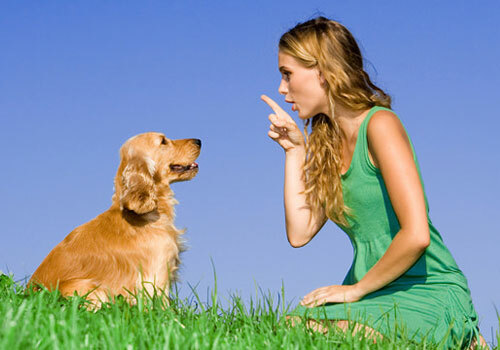 But since you are the leader of the pack, it is your duty to step in and do something to control excessive barking. While this could be annoying to you, it could also disturb and annoy your neighbors. 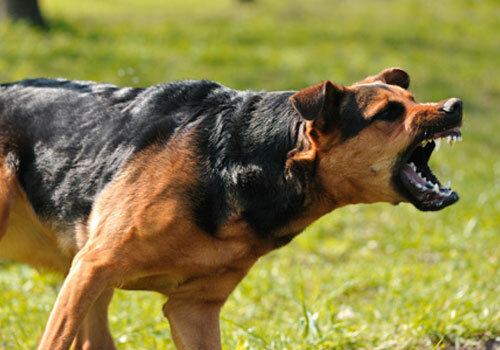 Remember that the environment can also induce this compulsive barking behavior of your dog. So it is the owner’s responsibility to look at the possible factors that trigger barking. You don’t have to worry about it as long as you are a balanced leader. Your dog tends to mirror your behavior and energy and by learning some effective tips below, you can help your dog to release its energy in other ways aside from barking. Watch the following video which explains some common reason about why dogs bark and how to make him stop. How to get your dog to stop from non-stop compulsive barking? 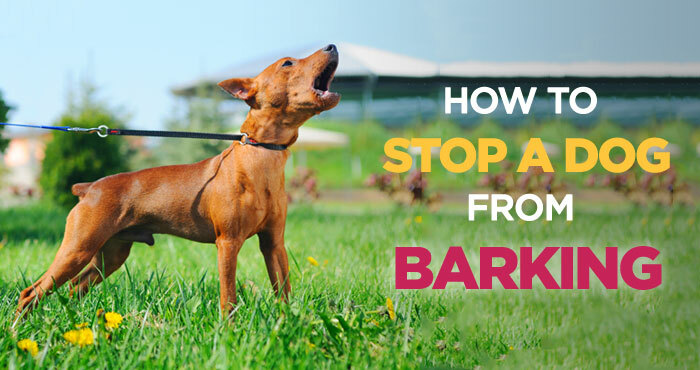 Below are some effective ways to correct the barking problem but before you start, make sure that you are patient and determine enough as bad habits are hard to break. Sometimes distractions or interrupters are useful to take off the dog’s mind to bark. It would break their concentration and instincts on barking. It could be another command from you or another high-frequency sound. Simple objects such as pebbles in a can or even slamming the cupboard are enough to distract them from barking. Moreover, the noise will startle him and make him think that his barking would trigger this annoying occurrence. However, you don’t want him to be scared so make sure that he will not see you every time you will make the noise. The noise should not be related to you, but to their barking. Their pattern of barking is usually honed by their environment. To get them to stop barking without purpose, you can try to remove the reward consistently. Instead of figuring out why your dog is barking, just ignore him every time he does. Ignoring your dog could be a challenging method since most of us involuntarily reinforce such behavior. Reward-based barking may include filling their water bowl or giving them dog treats when they bark. To eliminate this behavior, we should not allow them to demand their wants and needs through barking. Just like toddlers and younger kids, dogs bark to seek our attention. To handle this behavior steer clear of confusing body language so that your dog will know that you are not interested with his barking. You can stare at the ceiling when he starts to bark or walk away from him. When he stops barking, that is the time to command him to sit and give him attention, treats or other rewards. Consistency is the key so try your best to ignore your dog and teach him alternative behavior instead of barking whenever he seeks your attention. By simply looking at your dog, talking to him and holding hi muzzle, you are reinforcing him the quiet command. Since dogs are territorial, practice this command by allowing him to bark up to four times until you tell him to be quiet. Do not shout and say the command calmly and clearly. Gently hold his muzzle and repeat the word “Quiet”. Gently release it, step away and call your dog away from the door or windows. Finally, ask him to sit and give him a reward. This practice will strengthen your dog’s association with being quiet and getting attention and rewards. 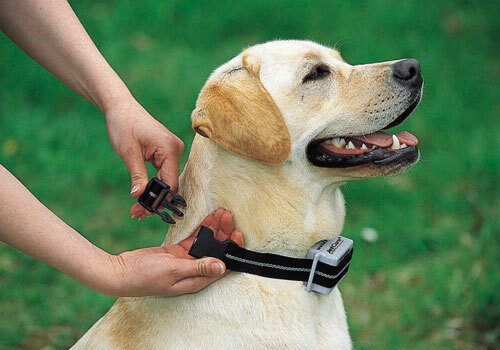 It may also help to have him wear a head halter, especially if he barks at other people and animals. It may have a calming effect on him making him less likely to bark, but it is best to only allow him to wear a halter under supervision to avoid injuries. 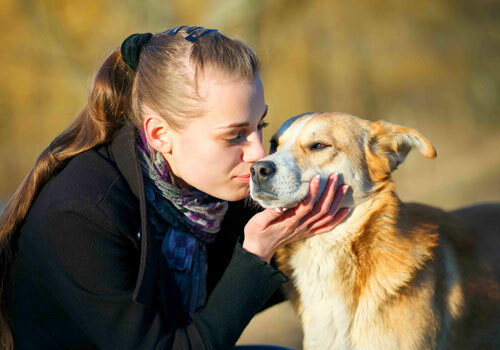 By doing so, you are guiding him to close his mouth and to prevent unwanted barking. Gently lift the leash when he’s barking and guide him to sit and relax. Move again and start changing direction to redirect your dog’s attention. To better handle this situation you should also strengthen your dog’s confidence in you. Dog training, daily exercises and spending time together are crucial to teaching him about setting boundaries and limits and showing him an appreciation for his pleasing behaviors. Controlled walks in the park and games like retrieving objects will teach him how to be patient and simply wait and sit by your side without barking for no good reason. At the same time, you are also building trust and confidence that will let him know if it’s okay to bark or to be quiet when needed. There are certified professional dog trainers or a certified applied animal behaviorist which you can seek help and guidance to teach these skills to your dog especially if you got a compulsive barker. These professional trainers can have one-on-one sessions with you and your dog so you can effectively teach him to sit, stay and be quiet on command. However, make sure that the trainer is qualified enough to help with determining his or her experience and education to treat compulsive behaviors. Only enlist help from certified dog trainers. These are devices that automatically interrupts your dog from barking. Some types of it emit a noise while others have citronella spray or have a brief electric shock or stimulation that your dog will feel only on the collar’s part. However, recent studies show that bark collars are not really effective in curtailing barking. Most often these collars produce an unpleasing stimulus to dogs that make them collar-wise or simply, they learn not bark only when they are wearing the bark collar but regress to it when not wearing them. Every type of barking has a distinct purpose for a dog. However, there will be times that he will use it to gain personal benefits. Remember that their barking behavior is not something they learn instantly but are usually reinforced by repetitive behaviors and other factors. That’s why it is critical for every dog owners to learn how to stop a dog from barking if it becomes excessive, annoying and without a valid reason. While training your dog to reduce, his barking instances do not also forget to pet him, tap him or give him attention, especially if he is not barking so he will associate these rewards with good behavior.